Desert Dharma provides Buddhist insight meditation programs and retreats with guiding teacher Susie Harrington, with an emphasis on retreats in nature. Desert Dharma also supports other Buddhist Insight Meditation groups and teachers in Utah, and western Colorado. The programs, classes, retreats, and weekly groups presented here are the result of the collaboration of many people and area meditation groups. If you are new to meditation or experienced, we hope you will find something in the programs, retreats, and resources that will support your journey. We hope to see you along the way! 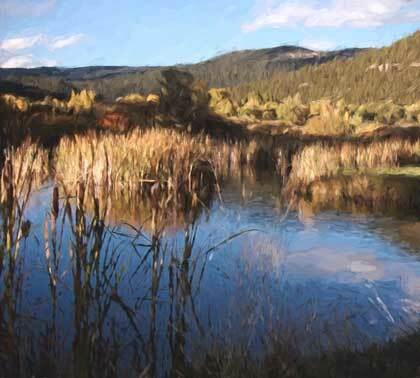 You will find in the retreat schedule a variety of retreats located in wild and wonderful places throughout the west. Susie's particular passion is to share with participants her love of the dharma as it expresses itself in the natural world. By combining meditation practice with time in nature we can engage, with intention, the inherent silence, aliveness and intimacy of the natural world, and may discover new depths of beauty and truth in ourselves and the world we live in. Please come join us - in the desert, in the mountains or at the ocean. Insight Meditation is a branch of Vipassana meditation, offered throughout the United States, best known for the large centers on the East (IMS- Insight Meditation Center) and West (Spirit Rock Meditation Center) coasts. Susie Harrington and the other co-teachers on retreats listed here have primarily been trained and are supported through the Insight Meditation lineage. Sky Mind Retreats (SMR) is a non-profit organization dedicated to supporting retreats and programs in the Buddhist Insight Meditation tradition. SMR is a sister organization to Desert Dharma and a primary sponsor of retreats and programs. A primary intention of SMR is to provide support for wilderness meditation retreats. SMR also supports Mindfulness in Education, which provides mindfulness and yoga instruction to Grand County UT students. SMR provides scholarships for most SMR sponsored retreats. One of the missions of SMR is to understand, reduce, and mitigate the inevitable environmental impacts of running retreats. Applications accepted up to June 20. Applications will be processed starting March 1st. The program will offer training in the wisdom and skill needed to be a Buddhist Environmental Chaplain, i.e., those who work to establish people in a healthy, compassionate, and mutually supportive relationship with the natural world. It will offer experience-based activities and contemplative practices that deepen individuals’ own relationships with the natural world, as well as provide them with skills to be spiritual caregivers, helping others (re)connect with nature and face contemporary environmental crises with wisdom and compassion. Sky Mind Retreats purchases carbon credits equal to double the calculated travel impacts of Desert Dharma retreats that SMR sponsors. Desert Dharma chose web hosting from DreamHost in part for their sustainability practices.